ANALOGUE DIRECT: Play and Record Direct with the AMP+ Series. The AMP+ SERIES are unlike any other devices and represent the cutting edge of our new pioneering design technology in allowing you to "experience the difference" when hearing and recording guitar tones that have made rock and roll history. 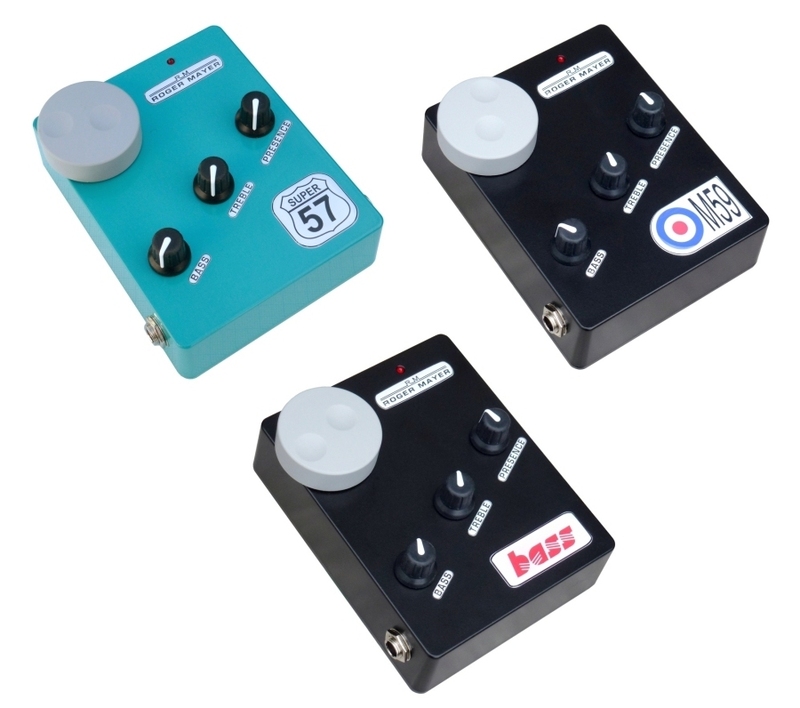 You can now Play and Record Direct your choice of classic British or American flavoured guitar tones or SVT inspired Bass tones into any Recording Device, DAW or Sound System at home, studio or at a live gig with the minimum amount of fuss and equipment. They are actually amplifiers in the own right that share the same structure, multi stage architecture and equalization as their tube counterparts. They operate and feel just like a tube amplifier with controls all having similar function and feel. The input gain is the same as regards to distortion and the guitar behaves just as you would expect. Having real control knobs makes dialling in your sound fast and simple just treat the AMP+ as an amplifier. Your effects pedal train can be connected into the AMP+ just as normal with no unexpected interface problems. DYNAMIC RANGE better than a CD resulting in a noise free output that follows every subtlety and nuance of your playing style perfectly. OUTPUT DYNAMICS are more detailed and exhibit more PRESENCE and TRANSPARENCY than can be obtained from the traditional setup of a microphone in front of a speaker or by using any plugin in your DAW. OUTPUT SECTION has been especially designed to distort in a similar manner to the classic output tubes types and exhibits the compression and harmonics that people love and are used to hearing. The AMP+ is more detailed in this respect as it does not have any amplifier lag, phase smear or microphonics that a tube amp has when cranked. You can now experience the full detail of your guitar at any operating level. RECORDING VERSATILITY In the studio many producers use the AMP+ in conjunction with their favourite AMP and Microphone setup to product an awesome huge sound with unparalled detail with the studio room accoustic sound qualities all blended into a result that cannot be obtained by any other method. OUTPUT TUBE COMPRESSION is very natural sounding thus adding to the natural playing experience and you now also have the BONUS of having a very effective PEAK LIMITER controlling final output level. ENHANCED DYNAMIC SOUND is produced with full presence and detail that you have not experienced before. It will certainly surprise you and require a new evaluation of your previous guitar tones. It will inspire you to play better than ever. The added DETAIL and TRANSPARENCY also enables you to easily perfectly place the track in the MIX as it can now be heard with more clarity. Having the luxury of always creating full range HD AUDIO makes further manipulation easy and successful as well as saving time. Post Production - Speaker Simulation - EQ - Delay or other effects can be applied to this full range sound to obtain the best possible results. TOTAL ISOLATION is obtained with the AMP+ and multiple tracking of instruments is easy in any Location Enviroment. The ability to record these professional quality tones anywhere will change the way songs can be recorded or created. There is no need in most cases to re-record a great idea or feel if it has been captured using an AMP+ and recorded onto a digital recording device. A minimum amount of equipment is needed and it is a great advantage of having a small compact unit that interfaces with any Recording Device, DAW or Sound System be it a home, studio, backstage or live at a gig. LIVE PERFORMANCE You can use the AMP+ as an addition to your backline amplifier or replace it altogether and feed to the front of house and stage and side fill monitors. In our road tests we have found when using it live the guitarist not only enjoys the increased dynamics and detail but a great sound on the PA System. In addition the on stage volume can be reduced and a repeatable consistent tone created without the wild variable of mic'ing an amp onstage. SETUP SPEED AND REPEATABILITY It is as easy as plugging into any amplifier and adjusting the controls. The Peak Limiting making recording level adjustment a one step process. Consistent sound equals better performance not to mention not having to lug around heavy amps. COST SAVINGS Eliminating excess tour gear is becoming the norm as airline fees have risen and it costs a lot to achieve the same sound as the AMP+ using traditional setups with an amplifier and microphone. The following audio clips used an indentical basic setup to show the capabilities and quality that can be obtained by using the AMP+. The guitar was plugged straight into the Super 57 or M59 AMP+ and then routed into a Focusrite Saffire 6 USB Interface. Digital Recording was at 44.1Khz 16bit and then converted to mp3. Some of the clips have a dry section 1st and then with added post production reverb to show what a typical studio track might sound like.